2008 was the year that the news was dominated by high oil prices, with the year ending with the worst global economic downtown for several generations. One very important story went largely unreported in 2008, which was the year of global peak oil. Transition Town Westcliff begun in 2008 and in 2009 we have many activities planned to help people think about community developments, such as growing food close to home. Despite or because of the economic downturn alternative business models are being considered and localisation can be a tonic to the current economic depression. So if you are feelings hung-over from the gloom of 2008, come and enjoy some positive messages for 2009 at the TRANSITION TOWN WESTCLIFF FILM CLUB – Last Friday of the month, 19:30 till 21:30 at St Marks Church, Princes Street, with a friendly chat/discussion after the film and presentation of local groups and projects. Free entry (suggested donation £2). Tea, coffee and biscuits available. This is an inspiring look at what hope, community, intelligence & hard work accomplished after Cubans ran out of oil. 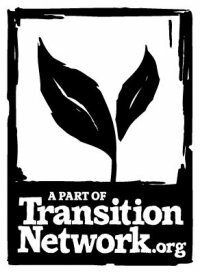 Short films about the beginnings of Transition Towns and their viral spread around the world from the UK to NZ, USA, Japan, Europe… and chat afterwards about the year since Transition Town Westcliff started.